Our Mission as a Caribbean nonprofit is to help uplift and sustain the youth of Jamaica. Our missionary roots on the island go back almost 200 years. 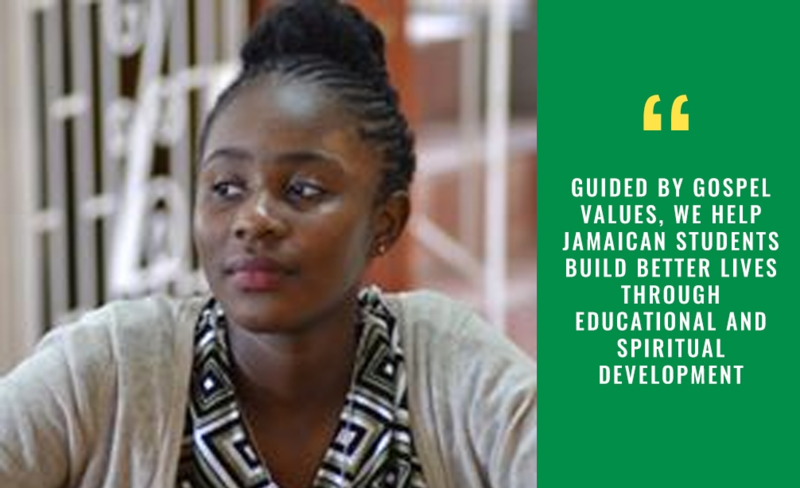 The Burchell Youth Development Foundation is carrying on a tradition of supporting the educational and spiritual needs of Jamaica youth as these young people strive to succeed in a challenging socio-economic environment. Join us as we equip students with scholarships, supplies and the values of the Gospel and, ultimately, uplift the families and communities of central and western Jamaica. The Burchell Youth Development Foundation a faith-based, Christian nonprofit providing educational and spiritual support to youth in the parishes of Westmoreland, St. James, Trelawny and St. Ann in central and western Jamaica. Our goal is to have a positive and measurable impact on the lives of Jamaican youth who might otherwise not have the opportunity to develop and pursue educational goals due to the economic hardship of their families and communities. The Burchell Youth Development Foundation serves the children of the parishes of Westmoreland, St. James, Trelawny and St. Ann in central and western Jamaica. We are present in their communities, providing high school and college scholarships, equipping them ​with everything from bibles for Sunday School to school supplies and text books, lunch money, transportation, uniforms and tutoring.